Dr. med. 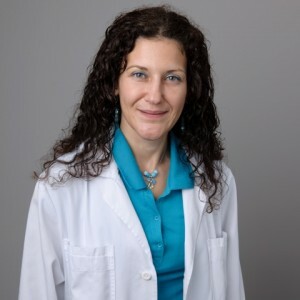 Vassiliki Bekou specialized dermatologist and venerologist, completed her undergraduate training in medicine at the Friedrich-Alexander-University (FAU) of Erlangen-Nürnberg, Germany. She specialized for some years in the Department of Dermatology of the FAU, followed by some years of practise in the Universities of Otto-von-Guericke in Magdeburg and in the Ludwig-Maximillian in Munich. In that period she specialized in allergology and medicamentous tumortherapy, being involved in many clinical studies in Oncology. In her further involvement at the Venenklinik Bellevue in Kreuzlingen, Switzerland, she specialized in phlebology getting the permission of the SGUM for duplex ultrasound sonography for peripheral veins. Another field of interesest and specialization is the tricholoy with surgical management of baldness with hair transplantation. She has been invited as a speaker, trainer and coordinator at many national and international medical events and conferences and has presented over papers on various aspects of dermatology. Traber J, Signer M, Bekou V, Kilb I, von Siebenthal D Diplomierte Wundexpertin (WEX), zertifizierter Wundmanager, Zertifizierter Wundtherapeut, Zertifizierter Wundassistent, Wundexperte (ICW), Pflegetherapeut Wunde (ICW) oder doch lieber Wundmanager (TÜV)? Kuhn A, Sigges J, Biazar C, Ruland V, Patsinakidis N, Landmann A, Amler S, Bonsmann G; EUSCLE coauthors; EUSCLE coauthors. Influence of smoking on disease severity and antimalarial therapy in cutaneous lupus erythematosus: analysis of 1002 patients from the EUSCLE database. Br J Dermatol. 2014 Sep;171(3):571-9.